At Tata Motors, striving for perfection is an on-going and high priority target. 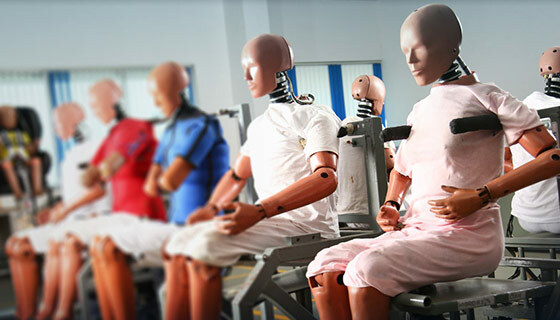 To achieve this target, we have established top-of-the-line manufacturing, R&D and design facilities in more than 20 sites across Asia, Africa and Europe. World-class manufacturing forms the essence of Tata Motors. In the manufacturing process, our facilities ensure that every step - from design to production to assembly - follows the highest standards of quality. Our plants combine modern manufacturing practices with cutting edge technology. We are home to India’s biggest engine development facility and own the country’s only facility for full climate test and pedestrian test. 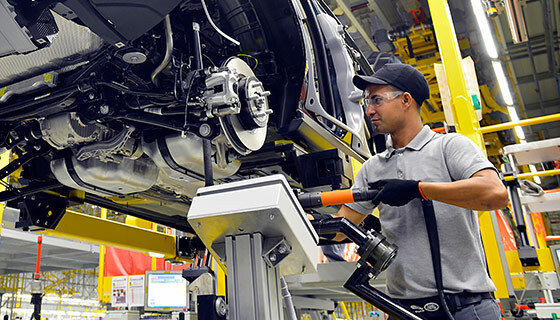 Tata Motors' overseas plants too are equipped with state-of-the-art manufacturing and assembly lines to cater to large numbers and different variants of vehicles. Our constant focus on automation and technology makes us the leader in India’s commercial vehicle market and places us among the top vehicle makers in the world. Design gives personality to a vehicle. Our expertise in producing private and commercial vehicles for over seven decades has helped us develop a deep understanding of customer needs, and this has been translated as our own Impact Design language. Our designing units in India, UK and Italy specialise in the very latest in designing practices, such as clay modelling, digital modeling, styling, architecture, packaging, to name a few. Our latest cars – Tigor and Nexon – are examples of our focus on cutting-edge, global design. Our Ultra trucks are designed to offer global styling, enhanced driving comfort and superior performance. While designing commercial vehicles, the designers at Tata Motors pay emphasis on safety, maintenance, user comfort and life cycle cost, while also conveying the trendy and trustworthy message that is the heart of Tata Motors’ design language. Tata Motors is driven by a passion for excellence, which is reflected across all our operations. 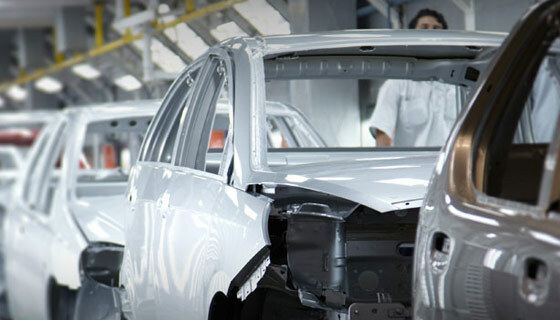 To offer the best vehicle experience to our customers, our passionate engineering and quality talent ensures production of superior vehicles, which has led to the rapid growth in global demand for our products. We focus on critical issues such as the look and feel of a vehicle, safety and efficiency, operations and maintenance, and fuel efficiency and life-cycle cost. Our world-class engineering and research centres are capable of carrying out complex vehicle designing through 3D visualisation and the integration of intelligent electronic vehicular control systems with hybrid technologies. Our recent offerings, Tigor and Nexon, along with our latest commercial vehicles, Ultra and Signa, reflect the relentless effort put in at our technical centres. Our unmatched lead in auto technologies has helped us strengthen our leadership position in the automobile industry.